PHILADELPHIA, PA – December 8, 2016 – Day & Zimmermann (D&Z), the century-old, family-owned provider of construction & engineering, staffing and defense solutions for leading corporations and governments around the world, announced today their Executive Development Program (EDP) received an award presented by the Greater Philadelphia Chapter Association for Talent Development (ATD-PHL). The award recognizes and celebrates Day & Zimmermann in the “large organization” category for their exceptional efforts to develop their workforce in 2016. The recognition comes during the Association’s annual Employee Learning Week, December 5-9, 2016. Day & Zimmermann developed its EDP to educate and engage the company’s next generation of leaders. The program gives executives an opportunity to work collaboratively across business units, and to help them confront the ambiguity that executives face when setting strategic direction. The program is structured around selected participants creating a strategic solution to a real company challenge. This collaboration emphasized self-awareness, while creating a safe environment for participants to be open and vulnerable to constructive criticism, helping them grow as individuals and benefiting Day & Zimmermann long-term. The Greater Philadelphia Chapter Association for Talent Development recognized the EDP for the positive outcomes of its initiatives. The program has resulted in cost reductions and revenue generation directly related to project recommendations, a full pipeline of acquisition targets and new mechanisms and strategies for fostering growth through collaboration. 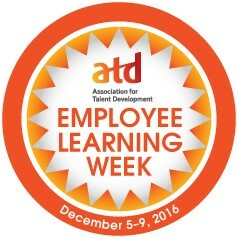 Day & Zimmermann will accept the award and present their insights to the workforce community on Wednesday, December 7 at the Employee Learning Week event presented by ATD-PHL and Pearson. The ceremony is an opportunity for organizations to showcase the important link between developing employees’ skills and achieving organizational results.